Home › For Students › Ethics Bowl › A MESSAGE TO ETHICS BOWLERS: THE CASES ARE OUT! Attention all Ethics Bowlers! This year’s cases are out and can be downloaded here. The Texas Regional Ethics Bowl will take place every year on the campus of St. Mary’s University in San Antonio. 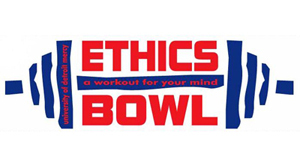 This year the Ethics Bowl will be held on Saturday, November 15th. If you are interested in participating, and you’re a TLU student (of course), please get in touch with me, either by stopping by my office, talking to me after class, or sending me an email. ‹ ALERT TO STUDENTS IN MY PHILOSOPHICAL ETHICS COURSE: YOU HAVE HOMEWORK!